This is nice. This is my great grandparents home , lots of nice memories. This picture now, we have reroofed it, painted it, re-landscaped the front and renovated the interior. The original doors, frames and basic design remain. We have left the center hallway floors exposed and in their original condition as a nod toward the homes history. Mangums have been in the Bahama area since the 1750S. Marcus and Ida Mangum bought three acres of land in the village of Bahama in 1913, but the Mangum family soon outgrew the house that was on the property. Marcus wanted to recycle materials from the old house into a new larger one, so during construction, the Mangum family, which by 1919 included six children, camped out in tents on the lawn. During the 1920s the Mangums had three more children, and the house was a beehive of activity. Neighbors would come and sit on the porch to share the news of the day, and music parties followed the annual hog kill and chitlin' feast. The simple one-story house was designed with three rooms on each side of a wide central hall that extended the depth of the house. The pyramidal roof over the four front rooms extends in the front over a wide porch that runs the width of the house. A front dormer gives light and air to the attic. When the Mangums moved into the house, the two front rooms were the master bedroom and a parlor. Rooms for the boys and girls were in the center of the house, with a kitchen and dining room at the back. The parlor was saved for special occasions, so most of the family's activities occupied the kitchen and the front porch. Mrs. Mangum and the children would sit on the porch to shell peas or to string tobacco bags on contract with the Golden Belt Factory down in Durham. On hot summer nights, the boys would sometimes sleep on the porch. 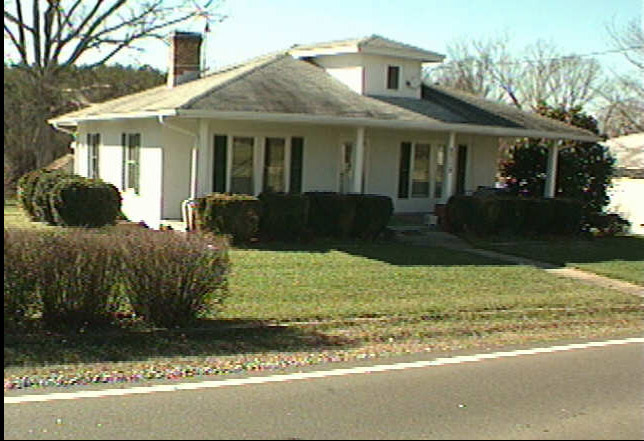 The house was sold by the Mangum family in 2009.